BEIJING (AP) — An upcoming summit with President Barack Obama comes at a "critical juncture" in relations between China and the U.S., Chinese President Xi Jinping said Monday, underscoring the challenge they face in confronting divisive security issues and overcoming growing distrust. Xi told U.S. National Security Adviser Tom Donilon — who was in Beijing to prepare for the June 7-8 meeting — that he expected positive results from the talks, which will be their first face-to-face meeting since Obama's re-election and Xi's promotion to head of the Communist Party last November. 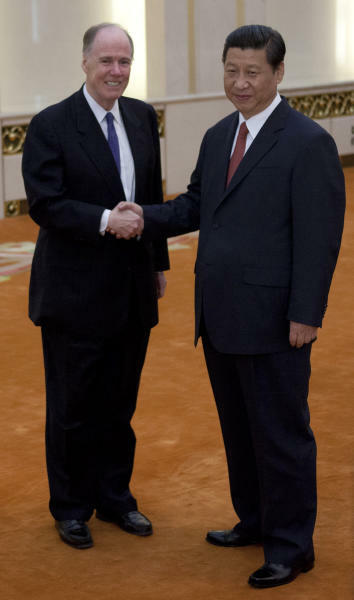 "The current China-U.S. relationship is at a critical juncture," Xi said. The sides must now "build on past successes and open up new dimensions for the future." In a sign that both sides want to stem a drift in ties, the summit is taking place months earlier than the two presidents were supposed to meet. The setting — at the private Sunnylands estate of the late publishing tycoon Walter Annenberg in southern California — is supposed to be informal, giving Xi and Obama a chance to build a rapport. Donilon flew to Beijing this week to prepare an agenda and straighten out other technical issues. He told Xi that Obama is "firmly committed to building a relationship defined by higher levels of practical cooperation and greater levels of trust, while managing whatever differences and disagreements might arise between us." Meeting earlier with State Councilor Yang Jiechi, China's senior foreign policy official, Donilon said the summit is a chance for the two presidents to work through problems. Though they did not identify those challenges in their public remarks, ties are strained across the board, from longstanding differences over the Iranian and North Korean nuclear programs to new disputes over cyberattacks and China's more assertive pursuit of territorial claims against U.S. allies Japan and the Philippines. 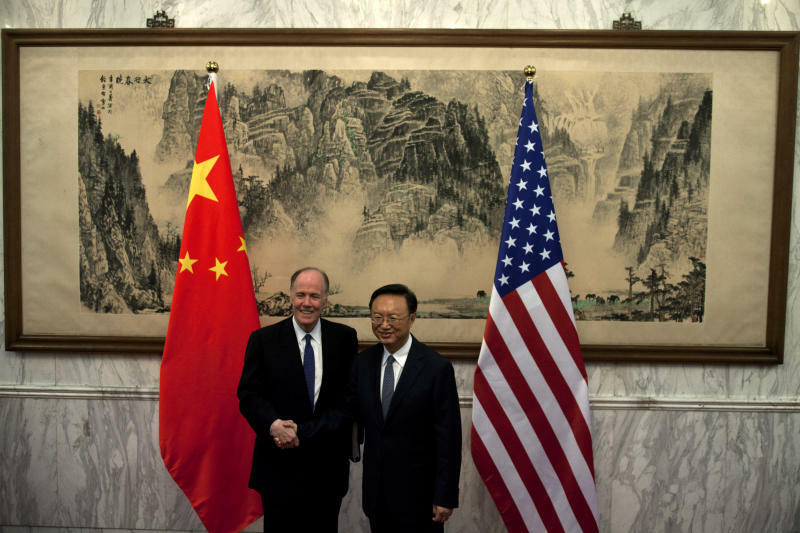 "The meeting will be an important opportunity for our presidents to have in-depth discussions about U.S.-China relations, and a wide range of global and regional challenges facing both our countries," Donilon said. 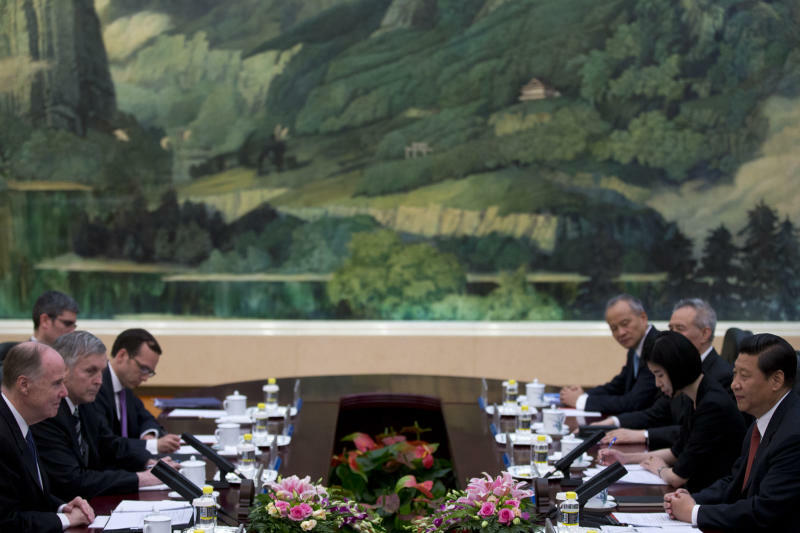 That Xi agreed to an informal summit has been seen by Chinese and U.S. experts as positive. His predecessors always preferred formal state visits, splashing images of White House ceremonies and banquets in the Chinese media to bolster their standing as world statesmen. Good will aside, distrust has deepened in relations in recent years as the U.S. feels its world leadership challenged and China, its power growing, demands greater deference to its interests and a larger say over global rule setting. Chinese officials and state media regularly say Washington is thwarting China's rise, strengthening alliances in Asia to hem in Beijing and discouraging Chinese investment in the U.S. on grounds of national security. The official Xinhua News Agency reported Monday that ships and submarines from the Chinese navy's three fleets staged drills in the South China Sea late last week. The area is already a flashpoint, with Beijing's aggressive claims to disputed islands having rattled the Philippines, Vietnam, Malaysia and Brunei. On Sunday, Li Keqiang — on a visit to Germany in his first trip abroad as China's premier — pressed China's claim to a cluster of East China Sea islands held by Japan. Traveling to Potsdam, where allied powers declared the terms for Japan's surrender 68 years ago in the waning days of World War II, Li told reporters that Japan must not "deny or glorify the history of fascist aggression." The aggrieved sense emanating from Beijing goes beyond recent flare-ups in old territorial disputes. The website of the People's Daily, the Communist Party's flagship newspaper, is running a recurring column that takes a critical look at Americans and their institutions. First called "Immoral, dishonest Americans," the title of the column was changed to "The Americans you don't know about." One item on Donilon's summit plans is the guest list. Xi will stop in California after formal visits to Trinidad and Tobago and Mexico where he will be accompanied by a large group of senior officials. If that entourage descends in full on the Sunnylands estate, U.S. diplomats said the White House might feel the need to bring similarly large numbers, making the summit less intimate.